Do I Need Veneers or Dental Bonding? Cosmetic dentistry has made great strides in the past few decades. Where the simple process of teeth whitening seemed to be a significant innovation, newer advancements such as veneers and dental bonding have now taken dental aesthetics to a whole new level of beauty, confidence and comfort. If you’re in Columbus, MS, and in need of cosmetic dentistry to boost your self-confidence and restore your teeth to their former state of pearly sheen, then you may be debating between getting veneers or dental bonding. This brief yet helpful guide will help you learn more about each of those services, their pros and cons, and whether or not they might be viable options for you. Simply put, porcelain veneers are shells made out of special coating, which help in covering teeth that are chipped, broken or discolored. Unlike teeth whitening treatments, veneers are a long-lasting fix, since the veneer shells that are attached to your teeth are custom made and act as a part of your dental structure when fixed by an experienced dentist. With proper care, they can function optimally for at least 10-15 years. The end result of veneers comes in the form of an immensely healthy sheen on your teeth, so you could navigate your way through the world with the confidence that you deserve to exude. However, getting veneers is a lengthy process with the shells taking a few days to weeks to be crafted. The procedure also comes at a higher cost than comparatively less permanent solutions. On the other hand, dental bonding is a quicker and relatively more economical alternative to veneers. In this process, you just have to go through a short procedure, where your local dentist applies special composite material directly to your chipped or discolored teeth in order to hide those unsightly effects. However, dental bonding is not as long-lasting as veneers, since the composite material may come off within a few months or just a little after 3 years. Dental bonding is also not as effective as veneers as it does not hide flaws that are too glaring to be covered by its composite material. However, they remain a quick fix for those who do not want to spend too much time or funds on taking care of their dental aesthetics. When Do I Need to Get Dental Bonding or Veneers? You may require these services when you have teeth that are chipped, broken, discolored or cracked by the ends – but which are otherwise healthy. If you have teeth that are showing signs of decay, then getting dental bonding or veneers would not be a good idea, and your local dentist would suggest that you go with more extensive procedures than just some regular cosmetic dentistry. Therefore, ensure that you discuss your options with a reliable dentist before you embark on a dental shopping trip. Only a properly done dental examination can reveal whether you’re a viable candidate for these services or not, and which of these options would actually suit you better. Confused About Crowns and Veneers? Contact PSC Dental! PSC Dental has been an institution in the Columbus, MS area when it comes to providing cosmetic dentistry services. 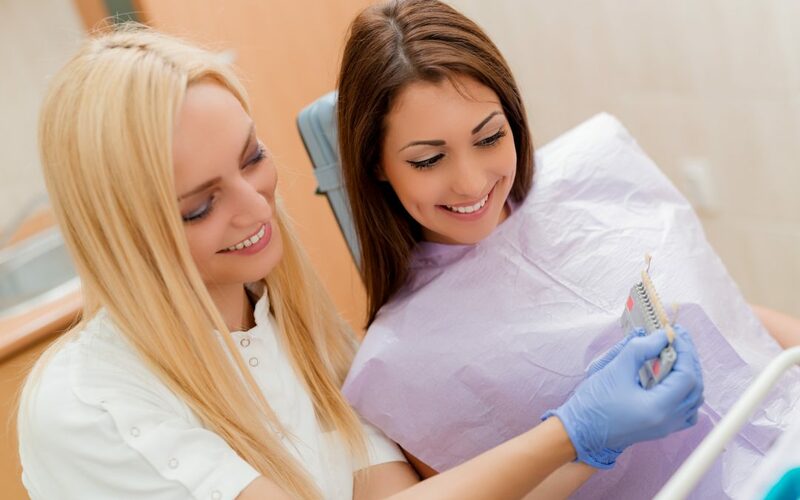 Whether it is about veneers, dental bonding, or other cosmetic dentistry services, the dental center has the distinction of being one of the most renowned names within the local community due to its objective of providing detailed consultations to its patients. Porter, Singley, and Crane Family Dentistry prides itself on its ability to build relationships with its clients and not just seeing them as another number. PSC Dental combines expertise with care and compassion to bring compelling services to its clients. If you are looking for reliable dentists that could not only provide you with great services but also give tenured advice on whether to get veneers or dental bonding, then reach out and contact us at PSC Dental, you’ll be glad you did.